Due to the smoke, I´ve left Turre and moved further up the valley. Cabrera and Cortijo Grande have been evacuated and the roads sealed off by Guardia. The fire now extends from the right of Cabrera down to Mojacar. A number of (3?) helicopters are ferrying water from a local reservoir. The light is currently terrible, as a huge pall of smoke has now gone over the house. And a large bulldozer on a lorry has been taken up into the mountains. 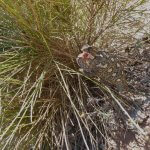 This entry was posted in Blog and tagged cabrera, fire, forest fire, turre by David. Bookmark the permalink. Wanted to thank you for the information you have provided on the fires. My parents are currently in Mojacar and it was really helpful to get up to the minute information. Although they were evacuated yesterday they seem to be fine and back at La Parata now.